Every important exam requires serious preparation from the examinee. Although GED, which stands for General Education Development or General Education Diploma, is especially developed for students who have not graduated from high school yet, it still includes features of a real examination, with all consequences (positive or negative). When you are informed about the essence of the exam, you may think that GED essay is far from easy to write. Evidently, you have not been involved in any academic activity for a long time. For that reason it is recommended to prepare yourself actively. You should not lose your self-confidence during preparation, as it is with every other exam. If you feel unprepared or unable to take GED, you’d better wait and study for it. There are specific courses which may teach you how to pass the GED exam. Don’t miss an opportunity to attend such courses since education is an investment, which always pays off. The main aim of the GED exam is to test your academic skills, and hence, to prove that you do not differ from most high school graduates. In this sense, the GED essay is similar to many other types of essays that you have to write in school. On the other hand, it requires reflections on particular situations and life experiences. Unlike most of the essays written in high school and college, your GED essay will be focused on a very abstract topic which you should analyze from your personal viewpoint. Remember, the more abstract a topic is, the more there’s room for writing. Thus, your GED paper will have to elucidate topics like: education, society, discrimination and diversity, events from your personal life, etc. You should write what you think about the given issue. A GED essay is always focused on a very abstract topic which you should analyze from your personal viewpoint. Your GED paper should not exceed two pages, but it must be written on both sides of the answer sheet. The essay should be around 200 words long, but it would be a big mistake if you count the number of words. The content of your GED essay is the most important thing. If your essay contains 195 words, the examiners will not reject it. Notwithstanding, you will not pass the exam if the content of your GED essay does not meet the criteria. Two examiners will be given the task to check your GED essay. Remember: they will be expecting good logical structure and a good way of expressing your thoughts. You must write the GED essay in such a way that the reader will understand your main idea and will find relevant supporting arguments. For that reason, try to be clear and concise. First, write a short draft of the text; then re-write the essay by using the draft. Finally, proofread it carefully. Don’t worry if you have some minor errors. “Minor” here means errors which do not prevent the reader from comprehending your ideas, and also which are not against conventions of the language. If you have omitted two or three commas, or have omitted a letter in a few words, but your text is quite comprehensible and coherent, you will probably pass the exam. If the errors are numerous, then your GED essay will probably be rejected by the examiners. If you still think that you are not that good at writing, then you should practice writing essays in advance and write at least one per day. Ask your friend to check it afterwards. Use only short sentences, connected logically with each other. Write a very short introduction and conclusion. Prove your thesis with one or two arguments, not more. Try to find arguments or facts, which are relevant to the topic. Use simple words; if you do not know the meaning of a given scientific term don’t use it. Remember that the GED exam is focused on your communication and expression skills. If you are able to communicate your ideas to an unknown reader, then you will pass the exam. Be yourself, tell your story and convince the examiners that you deserve to pass. 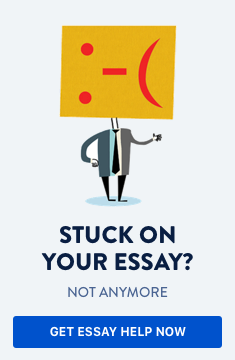 Do you need help with writing an GED essay?